Amrita Bandopadhyay is a third year PhD candidate in English at the University of Florida, Gainesville, USA. Her doctoral dissertation is on Indo-Caribbean women’s literature, with a particular focus on the refashioning of women’s identity, education and cultural practices through migration and travel. Her doctoral research explores how women imagine resistance and create narratives of negotiation in the context of racial and patriarchal conflicts in multiethnic societies. 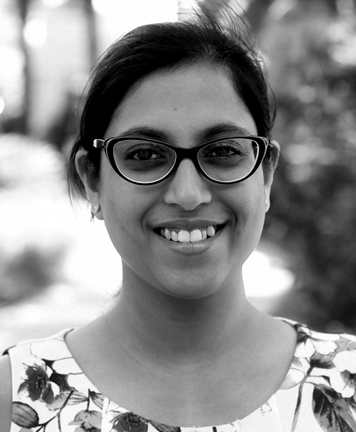 Her research interests include narratives of the South Asian and the Asian Diaspora, women’s literature, travel writing, Global Anglophone literature and digital humanities. Her dissertation also makes use of archival materials, particularly from the Digital Library of the Caribbean and archives in Trinidad and Tobago. Amrita previously received her MA and M.Phil. in English from Jadavpur University, Calcutta, India. Her M.Phil. thesis focused on nineteenth century Anglophone literature by women where she examined English novels of Swarnakumari Devi. Amrita is also an active member of the graduate students’ union (Graduate Assistants United) of the University of Florida. She also loves to cook, paint and write creative fiction.